The name Helsieni is a pun: the company is based in Helsinki, and ‘sieni’ means mushroom in Finnish. Dutchman Chris Holtslag has fallen in love with many things Finnish. Firstly, it was his girlfriend; then, it was mushroom-picking with her in the woods. All Helsieni growkits are made of recycled materials. Finland’s so-called everyman’s rights allow anyone and everyone to pick mushrooms and berries in the wild, which Holtslag immensely enjoys. However, he’s also aware that not everyone who likes mushrooms is, for whatever reason, able to go picking themselves. (For example, not knowing what to pick could lead to stomach bugs or possibly something a lot worse!) Foraging in Finland is also a season-specific hobby, as in the winter the best mushroom spots are covered in snow. Thus, Holtslag contacted some folks back in his native Netherlands, who introduced him to an intriguing concept: growing mushrooms in coffee waste at home. He travelled to study the idea with them and returned to Finland with a business idea. Soon enough, he convinced Stéphane Poirié to jump on as a co-founder, and Helsieni was set up. 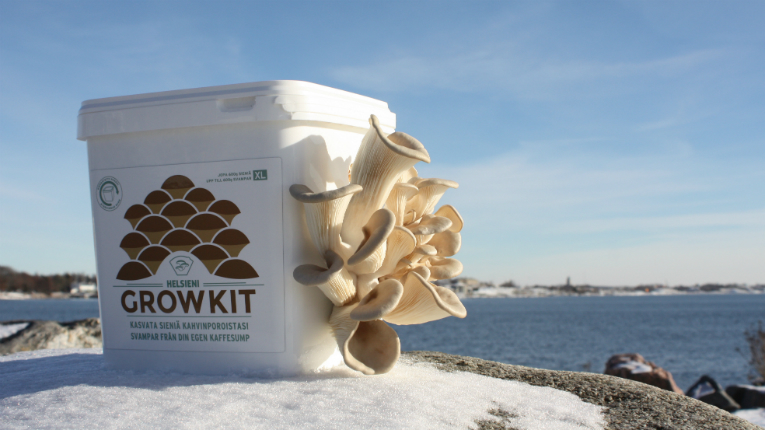 Now, the company sells kits that enable people to grow mushrooms at home from their own coffee grounds – which are aplenty in Finland, as the country is known for the highest coffee consumption per capita in the world. It’s not quite what Holtslag studied – industrial design engineering and industrial ecology – but it’s very close. 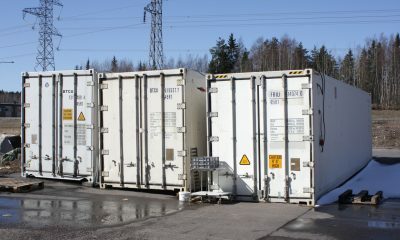 Helsieni farms its mushrooms inside shipping containers. 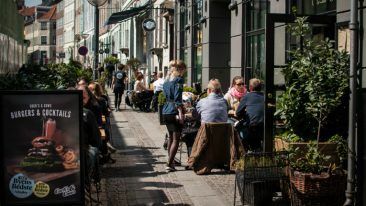 On top of selling the growkits and mushroom spawn, Helsieni also provides Helsinkian restaurants with fresh mushrooms. The spawn comes from the Netherlands. Most of the growkits are shipped domestically, although sometimes orders do come in from the neighbouring countries and as far as Germany and France. Helsieni doesn’t plan to internationalise its sales as much as it does the idea. Another not-so-rocket-science thing Helsieni is working on is creating a low-tech and low-cost modular alternative to industrial mushroom production. 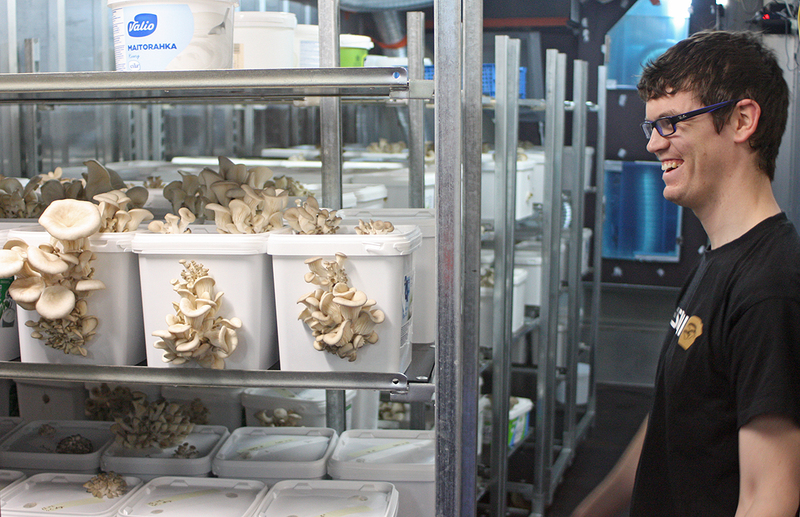 Currently, investing in mushroom equipment is costly, whereas Helsieni’s idea makes it possible to increase production module by module. 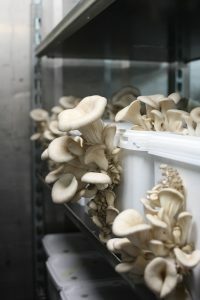 This would, in the company’s vision, give many more people a chance to grow their own mushrooms. Helsieni is also hitting a trendy nail in the head. 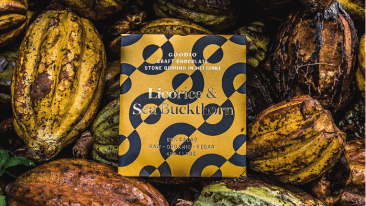 Holtslag points out that as mushrooms are a highly perishable product, mushrooms shipped from abroad aren’t at their best as they arrive in our kitchens. These days, people are paying more and more attention to what they’re eating, where it comes from, and how fresh and clean it is. Holtslag believes that home-grown mushrooms are thus in many ways superior to the ones we buy in supermarkets. The many benefits of mushrooms – on top of the fresh air he gets picking them – convinced him as he got used to his trips to the Finnish forests. Unsurprisingly, Holtslag’s own diet includes plenty of mushrooms in different forms. Currently his favourites are Asian-style soups with Helsieni oyster mushrooms. Hang on – aren’t mushrooms already coming out of your ears? “Absolutely not!” he notes firmly with zero hesitation in his voice. Co-foudner Stéphane Poirié inspects their handiwork.